Agora C Business Services exists to solve the critical issues facing cannabis operators, both large and small. Their unique approach is not only what differentiates them, but also what makes them successful. They provide a broad range of services and solutions to help “grey market” cannabis operations transition into the regulated market, achieve their vision and optimize performance and productivity. Agora C Business Services is the culmination of a restructuring of the Law Office of Dale Schafer, in order to lower the legal fees associated with entering or transitioning to the regulated cannabis market and service more cannabis operators in CA. By contracting with Agora C Business services, I can lower the cost for 3/4 of the necessary work required to obtain “Local Authorization” and a state license for CA cannabis businesses. I can also help operators to formulate good teams and train those teams in all areas necessary to adequately run a cannabis corporation, thereby helping those businesses to be as sustainable as possible. 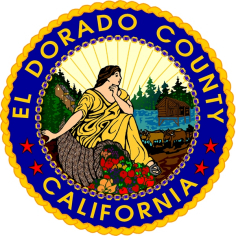 I would encourage anyone seeking to enter or transition into California’s regulated cannabis market to visit the Agora C Business Services website and subscribe for all upcoming events and information on the opening of the El Dorado County Resource Center. One of the hottest dilemmas, in the cannabis industry, these days involves the relative legality of CBD. The answer involves the DEA, the Farm Bill of 2014, the myriad state laws, on the subject, and a history of ambiguity in America over jurisdiction, and control, over products that are consumed by humans for benefits to health. Understanding this quagmire is helped by a glance back in history to see how we all got to this difficult place. The 19th century was dominated by unrestricted capitalism in many commodities, including drugs. Opium had been known, for millennia, as a pain medication and pleasure producer, but it had a dark side. In 1805 the German pharmaceutical giant Merke isolated Morphine from opium. The British were very successful purveyors of opium and forced the poison onto the Chinese in several Opium Wars in the 1840’s. Opium tincture (laudanum) was a widely available medical, or whatever, product in stores across America. The Civil War brought widespread use of morphine, through hypodermic syringes, and it became a drug problem for many veterans of the conflict. Coca wine was available circa the war, but it was refined to a crystalline product with cocaine hydrochloride. President Grant used the substance to help with the writing of his memoirs before he died from throat cancer. Doc Pemberton concocted Coca-Cola, from coca leaves, to help him treat his morphine addiction. It was labeled a “soft drink” because it contained no alcohol and was believed, in dry Atlanta, to be less harmful than liquor. By the time Sigmund Freud was treated for cocaine addiction, it was becoming apparent that cocaine had a dark side. Indian hemp was introduced into European society when Napoleon’s troops returned from the near east with hashish. Dr. O’Shaughnessy brought Indian hemp medical products to England in the 1840’s. It’s medical benefits were widely spread through medical societies and products were developed, principally based on alcohol extraction. The second half of the 19th century saw a rapid expansion of cannabis preparations here in America. Morphine, cocaine and cannabis were not the only substances that were put into “patent medicines”, but they were the big ones. Alcohol was the solvent, and an ingredient, in many of the medicines. As you probably recall, alcohol was becoming quite the moral dilemma as the end of the 19th century approached. Traveling “medicine men” mixed up their special elixirs and sold them to rural citizens. These medical products, along with many other commercially prepared products, eventually appeared in the Sears and Roebuck catalog to be shipped in plain wrapping to your home. When Bayer developed Heroin, in the late 1890’s, the nation was seemingly flooded with snake oil and “addiction” was part of the national discussion about safety in consumer products. Not to be forgotten was the invention of nutritional products to bring people back to health. Health sanitariums popped up and inventors like Kellogg developed food products (I’m thinking breakfast cereals) to bring people to optimum health. The health claims of these food products were puffing on steroids and their safety was never guaranteed. The food supply was increasingly uncertain and there were few laws to protect consumers. This situation had gained the attention of Congress and when Upton Sinclair published “The Jungle”, about the meat packing industry, Congress passed the Pure Food and Drug Act of 1906 (PFDA). The act required truthful labeling of drugs (morphine, cocaine, chloral hydrate and cannabis) and alcohol and is still considered the beginning of the FDA. However, those products that were not considered drugs were not treated as harshly. This would turn out to be the beginnings of the modern battle between drugs and nutritional supplements. Over the decade that followed the PFDA, morphine was criminalized. The International Convention of 1912 lead to the Harrison Anti-Narcotic Act of 1914 and federal drug prohibition was off and running. The Treaty of Versailles contained language to prohibit morphine and opium, as did the League of Nations in the 1920’s. States began to enact laws to control poisons and Boards of Pharmacy evolved in all states. As drugs were increasingly controlled, nutritional supplements fought hard to avoid the label of drug. Food, which included supplements, were under the control of the US Department of Food and Agriculture. Consumer safety for foods was viewed differently that the control mechanisms for drugs to protect medical consumers. In the 1930’s Congress added cosmetics to the FDA and today we operate under the FDCA. America’s attack on cannabis took racial overtones as “marijuana” entered the lexicon of prohibition. When the Mexican Civil War sent refugees fleeing north after 1910, cities and states began to enact prohibitions against marijuana use, but medical use of cannabis was allowed. After alcohol prohibition ended in the administration of FDR, there was increasing pressure for national marijuana prohibition. In 1937, Congress nefariously passed the Marijuana Tax Act and even medical use was made effectively impossible. The Tax Act lasted until 1969 when Tim Leary got SCOTUS to find it unconstitutional. Congress took up the issue of drugs in the Omnibus Controlled Substances of 1970 (CSA). As you know, marijuana was placed in Schedule 1 of that Act and was completely outlawed, except with federal permission. An unfortunate situation that continues today. In 1994, Congress passed the Dietary Supplement Health and Education Act. This act had jurisdiction over products taken orally for supplementing the health. Claims of health benefits were required to prove their claims or cease advertising the benefits. It also put the burden on the FDA to prove a product, or ingredient was to be treated as a drug rather than a supplement. Ingredients like ephedra lost the battle with the FDA and recently, kratom has fallen under such scrutiny. The industry that produces and markets food supplements is vast, politically connected and well funded. If there is a straight-faced argument to keep a supplement a food rather than a drug, massive political pressure can be brought to bear. Prior to Dr. Machoulam’s discovery of THC in the early 1960’s, science did not know what was in cannabis that made it psychoactive. By that time, marijuana was the legal term, used by the federal and state governments, to describe the cannabis plant with psychoactive and medical benefits. Once this cannabinoid was discovered, definitions were developed to distinguish between “marijuana” and “hemp”. THC concentration defined the two terms and the figure of 0.3% THC was the line. Less was hemp and more was marijuana. When Congress enacted the CSA, marijuana was defined to include all parts of the cannabis plant, growing or not, seeds, resin extracted, all salts, compounds, derivatives and all the language thought to cover every possible product from the plant. The CSA also excluded the stalks, fiber, oil cakes made from seeds, but resin extracted from stalks was not excluded. (21 USC 802). The use of the term “resin” is a problem in today’s question about hemp derived CBD. The cannabis plant produces cannabinoids. Prior to the scientific definition of THC, the term marijuana was all inclusive, even though the non-psychoactive phenotypes were defined as hemp for practical purposes. WWII brought hemp production back for a short period of time, but amnesia was imposed for several decades. Hemp and marijuana were treated effectively the same. They were illegal. As research continued into the multitude of cannabinoids produced by the cannabis plant, it became possible to isolate the cannabinoids. CBD was able to be looked at separately and investigators began the process to identify which of the cannabinoids were responsible for the many medical effects described by patients. Research also proceeded into the health and nutritional benefits of hemp seeds and the oil derived from them. Dating back, to the 1937 Tax Act, whole seeds needed to be rendered sterile. Seed cake was the base for nutritional and health products. It was also determined that some varieties hemp had relatively more CBD than others. It was possible to extract, and isolate, CBD as a commercial by-product of hemp cultivation and processing. Herein lies the present reality that is creating today’s uproar. The use of the term “resin” in the CSA demonstrates a desire to prohibit, and control, cannabinoids as a drug. The Farm Bill of 2014 was enacted to allow research projects, under state law, to develop agricultural products from hemp. Several states, most notably Kentucky, have moved forward with increasing commercial production of hemp products. As more acres of hemp are grown, increasing amounts of hemp flowers were available and CBD could be extracted commercially. Over the last two decades, CBD products have become increasingly popular and the source of CBD began to be hemp. Domestic hemp production was not enough to cheaply meet demand so international sources were sought out, think China. Many that were in the CBD trade began to believe that CBD was not a drug covered by the CSA, but an industrial hemp product or a nutritional supplement, outside federal criminal enforcement. The DEA did not suffer from this belief. In early 2017, a statement was issued by the DEA that clarified, at least in their minds, that CBD was a schedule 1 drug under the CSA and that the Farm Bill did not allow CBD production since it was not an agricultural product, but a drug product. Litigation was started to fight this ruling, but the case was dismissed. In December of 2017, the DEA announced a new category of marijuana extract that covered CBD, and all cannabinoids. As far as the federal government is concerned, CBD is treated like THC, it’s all marijuana. It’s not that simple though. Many states that have legalized cannabis specifically allow, or restrict patients to, CBD as a state legal medical product. If the CBD is produced within the lawful state, it is only the federal government that would take enforcement action. Unfortunately for the federal drug establishment, there aren’t enough enforcement officers to stop CBD as a medical product. CBD products are seemingly available everywhere and states appear to be inclined to not enforce. This creates a situation that defies understanding, logic or currently workable solutions. To make matters even more difficult, hemp probably is not the best source of CBD for human consumption. The cannabis plant will extract many toxins from the soil and it takes acres of hemp to commercially produce CBD. The toxins can show up in the CBD and that is problematic for consumer safety because of a lack of testing. Additionally, the cannabis chemotypes that produce high concentrations of cannabinoids, traditionally called marijuana, include a fuller profile of cannabinoids and contain terpenes. Most cannabinoid experts, I’ve talked with, believe that full spectrum cannabinoid products are medicinally superior to hemp derived CBD. This particular topic cries out for research to determine the best source for medicinal products high in CBD. Now that I’ve said all that, the central question remains difficult to answer. The DEA considers CBD to be prohibited as a schedule 1 drug and not allowed to be produced from hemp, since it’s not considered an agricultural product. If CBD is shipped through interstate commerce, the federal government may decide to take some enforcement actions to send a message. However, for all practical purposes, the feds can’t stop the CBD trade. If your state is allowing CBD production, odd are you’re safer, but not totally safe. How far one goes with CBD production and sales, depends on one’s willingness to accept the risk. Of course, that’s been the theme involved in cannabis production for many decades now. Welcome back to the wild west. If cannabis is legal statewide, how come you can’t buy it in your own county? It’s not just Newport Beach turning its nose up. Retail cannabis may be legal statewide, but California law allows local municipalities to severely limit or ban cannabis companies. Cannabis is banned entirely, for example, in the cities of Redding, Pomona, Crescent City, and Santa Monica, as well as most of Orange, San Bernardino, and Ventura counties. That’s just the start of a long list. These local bans aren’t entirely unusual—and they usually don’t last forever. During the early days of legalization in Colorado and Washington, many municipal councils enacted bans out of fear and ignorance. Suburban towns shut out retail storefronts, for example, nervous that legal sales could bring more trouble than good. Meanwhile, most local politicians voting on those bans knew very little about cannabis and the legal industry around it. Many bought into old stereotypes about weed, stoners, dealers, and crime. When Oregon legalized, we saw the same thing. Today, California and Massachusetts are in the thick of it. Here’s the rub: Many of the communities that initially enacted bans were themselves not anti-cannabis. Some voted overwhelmingly in favor of statewide legalization. In many cases, bans were the response to the vocal outcry of a relatively small number of concerned citizens. In others, local governments were simply unfamiliar with legal cannabis or felt unprepared to appropriately regulate it. The good news is that bans can be reversed. But they don’t overturn themselves. Here are a few ways you can start opening minds and changing votes. You don’t need to reinvent the wheel. 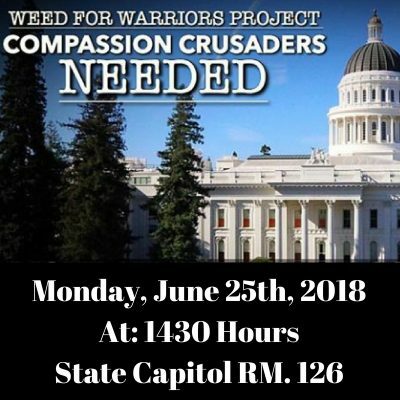 Connect with an advocacy organization, such as your state chapter of NORML, the National Organization to Reform Marijuana Laws. They have a deep well of knowledge, resources, and experience with the local political landscape. The Marijuana Policy Project (MPP) also has a “Block the Ban” initiative up and running; they’ve already successfully overturned the ban in one Massachusetts town. Connecting with and joining NORML or another group doesn’t mean you become their official representative. Politicians sometimes tune out advocacy groups because they see them as “special interests.” That’s not entirely fair, but it is what it is. If you introduce yourself to a local elected official as a constituent and concerned citizen—or a concerned parent or business owner—you may get more traction. Sidle up to your local city council member before or after a weekly council meeting. Introduce yourself, give them your elevator pitch, and tell them you’d like to talk with them further about the issue. Use the New Business or public comment period at the end of the council meeting to air your concern. Write a letter to one or all of the council members. Send a version of that letter to the local newspaper. Call out supporters and opponents of the ban by name. Post about the issue on social media. Again, call out officeholders by name, and consider tagging them or creating a hashtag. You will get their attention. Before you go: Have your clear, concise talking points ready to deliver. See #3 below. Luckily, there’s a lot of good evidence that a legal, regulated market works far better for everyone than prohibition. There’s no shortage of misinformation when it comes to cannabis. Like with a lot of issues that people feel strongly about, it’s common for opportunists to seize on information that supports their preconceptions rather than digging deeper into the issues. Luckily, there’s a lot of good evidence that a legal, regulated market works far better for everyone than prohibition. So when you engage with elected officials, come armed with facts. The reasons you support legal cannabis might not be reasons your neighbors or your council members find persuasive. If you’re talking to an elected official, learn about the issues that drive them customize your pitch. If you’re talking to a liberal Democrat, lead with social justice concerns. A conservative Republican may be more amenable to a pitch about personal freedom and the waste of taxpayer resources on nonsensical cannabis arrests. Centrists might appreciate the extra revenue to shore up budget holes. This article has a number of further tips. Guess who writes a lot of the first drafts of legislation? Not the office holder! Seriously. Do some research. Find copies of the local cannabis ordinances adopted by towns and counties similar in size and culture to your own. Present the entire piece of legislation to your local office holder. They are busy, and they’re working on issues ranging from potholes to violent crime. The more work you can do for them, the more likely they’ll seriously consider introducing your measure. Did your county, district, or town vote in favor of statewide cannabis legalization? Well then why is the local town council disrespecting the clearly expressed will of local voters? Do they think the voters are confused children? 70% of Marin County, CA, voters embraced legalization. And yet the county council banned it. That’s got to change. For example, the map below shows how California counties voted on Proposition 64, the 2016 statewide measure to legalize the adult use of cannabis. Check out Marin County in the map below. Marin embraced legalization with 70% of the vote. Three months later the Marin County Board of Supervisors banned all cannabis-related business activity in unincorporated Marin. There’s your conversation starter, Concerned Marin Constituent. When local elected officials won’t listen to your well-reasoned argument, you still have Option B: The local initiative. Find out how to get a local initiative on the ballot in your area, if it’s an option (different jurisdictions often have different rules). Reach out to groups like NORML and the Marijuana Policy Project, which have a lot of experience running and winning these “Beat the Ban” measures. Often it’s just a matter of persistence. In Oregon, roughly a year after legal sales began, 15 municipalities that initially prohibited cannabis businesses voted to undo those bans. And in Massachusetts, which is readying for adult-use sales to begin this summer, a growing number of communities are voting to allow cannabis businesses, bucking an early trend of local bans. “We got a lot of support from people who don’t use cannabis, but might want to someday,” Scott Winters, an Amesbury resident who spearheaded opposition to an anti-cannabis referendum that was defeated in November by a nearly 2-1 margin, told the Associated Press. “From users to non-users to just folks who want revenue for the city, we had a lot of support. Bruce Barcott is Leafly’s deputy editor. He is a Guggenheim Fellow and author of Weed the People: The Future of Legal Marijuana in America. Ben Adlin is an editor at Leafly who specializes in politics and the law. Together with editor Dave Schmader, they host Leafly’s weekly politics podcast, The Roll-Up. My goal, today, is to dispel some of the fears and myths, around the State cannabis application process, and inform about the process of filing your application for a California State Cannabis Permit. Remember, this post does not pertain, specifically, to the local application as those can, and will, be different for the nearly 500 municipalities across California. understand that a misrepresentation of fact is cause for rejection of this application, denial of the license, or revocation of a license issued. ☐ Temporary license applications shall be completed and submitted online at calcannabis.cdfa.ca.gov or mailed to the department at P.O. Box 942871, Sacramento, CA 94271. A copy of a valid license, permit, or other authorization, issued by a local jurisdiction, that enables the applicant entity to conduct commercial cannabis activity at the location requested for the temporary license. For the purposes of this section, “other authorizations” shall include, at a minimum, a written statement or reference that clearly indicates the local jurisdiction intended to grant permission to the applicant entity to conduct commercial cannabis activity at the premises. ☐ A list of the license types and the license numbers issued from the Bureau and all other state cannabis licensing authorities that the applicant holds, including the date the license was issued and the licensing authority that issued the license. ☐ Whether the applicant has been denied a license or has had a license suspended or revoked by the Bureau or any other state cannabis licensing authority. The applicant shall provide the type of license applied for, the name of the licensing authority that denied the application, and the date of denial. ☐ The business-formation documents, which may include, but are not limited to, articles of incorporation, operating agreements, partnership agreements, and fictitious business name statements. The applicant shall also provide all documents filed with the California Secretary of State, which may include, but are not limited to, articles of incorporation, certificates of stock, articles of organization, certificates of limited partnership, and statements of partnership authority. ☐ A list of every fictitious business name the applicant is operating under including the address where the business is located. amount of money in the account. ☐ A list of loans made to the applicant. For each loan, the applicant shall provide the amount of the loan, the date of the loan, term(s) of the loan, security provided for the loan, and the name, address, and phone number of the lender. ☐ A list of investments made into the applicant’s commercial cannabis business. For each investment, the applicant shall provide the amount of the investment, the date of the investment, term(s) of the investment, and the name, address, and phone number of the investor. ☐ A list of all gifts of any kind given to the applicant for its use in conducting commercial cannabis activity. For each gift, the applicant shall provide the value of the gift or description of the gift, and the name, address, and phone number of the provider of the gift. ☐ A complete list of every individual that has a financial interest in the commercial cannabis business as defined in 5004 of this division, who is not an owner pursuant to Business and Professions Code section 26001(al). The full name of the owner. The owner’s title within the applicant entity. The owner’s date of birth and place of birth. The owner’s social security number or individual taxpayer identification number. The percentage of the ownership interest held in the applicant entity by the owner. Whether the owner has an ownership or a financial interest as defined in 5003 and 5004 of this division in any other commercial cannabis business licensed under the Act. A copy of the owner’s government-issued identification. Acceptable forms of identification are a document issued by a federal, state, county, or municipal government that includes the name, date of birth, physical description, and picture of the person, such as a driver license. Dates of incarceration if applicable. (iii) Dates of probation if applicable. Dates of parole if applicable. A detailed description of the offense for which the owner was convicted. A statement of rehabilitation for each conviction. The statement of rehabilitation is to be written by the owner and may contain evidence that the owner would like the Bureau to consider that demonstrates the owner’s fitness for licensure. Supporting evidence may be attached to the statement of rehabilitation and may include, but is not limited to, a certificate of rehabilitation under Penal Code section 4852.01, dated letters of reference from employers, instructors, or professional counselors that contain valid contact information for the individual providing the reference. If applicable, a detailed description of any suspension of a commercial cannabis license, revocation of a commercial cannabis license, or sanctions for unlicensed commercial cannabis activity by a licensing authority or local agency against the applicant or a business entity in which the applicant was an owner or officer within the three years immediately preceding the date of the application. Attestation to the following statement: Under penalty of perjury, I hereby declare that the information contained within and submitted with the application is complete, true, and accurate. I understand that a misrepresentation of fact is cause for rejection of this application, denial of the license, or revocation of a license issued. ☐ Evidence that the applicant has the legal right to occupy and use the proposed location that complies with section 5007 of this division. ☐ Evidence that the proposed premises is in compliance with Business and Professions Code section 26054(b). ☐ For an applicant with 20 or more employees, the applicant shall attest that the applicant has entered into a labor peace agreement and will abide by the terms of the agreement, and the applicant shall provide a copy of the agreement to the Bureau. For applicants who have not yet entered into a labor peace agreement, the applicant shall provide a notarized statement indicating the applicant will enter into and abide by the terms of a labor peace agreement. ☐ (For testing laboratory applications), the certificate(s) of accreditation as required by section 5702 of this division, or the information required for a provisional license as required by section 5703 of this division. A description of the applicant’s procedure for transportation of cannabis goods, including whether or not the applicant will be transporting cannabis goods or contracting for transportation services. A description of the applicant’s procedure for receiving shipments of inventory. Where the applicant’s inventory will be stored on the premises and how records of the inventory will be maintained. (iii) The applicant’s procedure for performing inventory reconciliation and for ensuring that inventory records are accurate. The applicant’s procedures for preventing the deterioration of cannabis goods held by the applicant. The applicant’s procedures for ensuring that cannabis goods are properly packaged and labeled prior to retail sale. (iii) The applicant’s procedures for ensuring that a licensed testing laboratory samples and analyzes cannabis goods held by the applicant. The applicant’s procedure for allowing individuals access to the premises. A description of the applicant’s video surveillance system including camera placement and procedures for the maintenance of video surveillance equipment. (iii) How the applicant will ensure that all access points to the premises will be secured, including the use of security personnel. A description of the applicant’s security alarm system. ☐ Evidence of exemption from, or compliance with, the California Environmental Quality Act as required by section 5010. ☐ § 8104. Legal Right to Occupy. (a) If the applicant is the owner of the property on which the premises is located, the applicant shall provide to the department a copy of the title or deed to the property. (3) A copy of the lease or rental agreement, or other contractual documentation. ☐ § 8105. Property Diagram. (b) If the proposed premises consists of only a portion of a property, the diagram shall be labeled indicating which part of the property is the proposed premises and what the remaining property is used for. (2) Location, type, and capacity of each storage unit to be used for cultivation. (g) The diagram shall not contain any highlighting. ☐ § 8106. Cultivation Plan Requirements. (B) Maximum wattage, or wattage equivalent, of each light. (B) Integrated pest management protocols including chemical, biological and cultural methods the applicant anticipates using to control or prevent the introduction of pests on the cultivation site. (F) Designated secured area(s) for cannabis waste if different than subsection (E) above. (3) A cannabis waste management plan pursuant to section 8108 of this Chapter. (6) A cannabis waste management plan pursuant to section 8108 of this Chapter. ☐ § 8107. Supplemental Water Source Information. (1) If the water source is a retail supplier, such as a municipal provider, as defined in Section 13575 of Water Code, identify the retail water supplier. (iv) The maximum amount of water delivered to the applicant for cannabis cultivation in any year. (2) A copy of the well log filed with the Department of Water Resources pursuant to Section 13751 of Water Code. If no well log is available, the applicant shall provide evidence from the Department of Water Resources indicating that the Department of Water Resources does not have a record of the well log. If no well log is available, the State Water Resources Control Board may request additional information about the well. (3) A detailed description of the type, nature, and location of each catchment surface. Examples of catchment surfaces include a rooftop and greenhouse. (3) A copy of documentation submitted to the State Water Resources Control Board before October 31, 2017 demonstrating that the diversion is authorized under a riparian right and that no diversion occurred in any calendar year between January 1, 2010 and January 1, 2017. (4) If the applicant has claimed an exception from the requirement to file a statement of diversion and use, the applicant shall provide a copy of the documentation submitted to the State Water Resources Control Board before January 1, 2019 demonstrating that the diversion is subject to subdivision (a), (c), (d), or (e) of Section 5101 of Water Code. Authority: Sections 26012 and 26013, Business and Professions Code. Reference: Section 26060.1, Business and Professions Code; and Section 13149, Water Code. ☐ § 8109. Applicant Track and Trace Training Requirement. (a) Each applicant is responsible for registering for state-mandated training, as prescribed by the department, within ten (10) business days of receiving notice from the department that their application for licensure has been received and is complete. (b) Documentation of training completion shall be provided to the department within ten (10) business days of completion. Applicants approved for an annual license shall not have access to the track-and-trace system until the licensee’s designated account manager has completed, and provided proof of completion, of the track-and-trace training prescribed by the department. Authority: Sections 26012 and 26013, Business and Professions Code. Reference: Section 26067, Business and Professions Code. ☐ § 8110. Proof of Local License, Permit, or Other Authorization. When the applicant provides a license, permit, or other authorization from the local jurisdiction where the licensed premises will be or is located, the department will notify the contact person identified pursuant to Section 26055 of Business and Professions Code. If the local jurisdiction does not respond to the department’s notification within ten (10) calendar days, the department may issue a license to the applicant. Authority: Sections 26012 and 26013, Business and Professions Code. Reference: Section 26050.1 and 26055, Business and Professions Code.